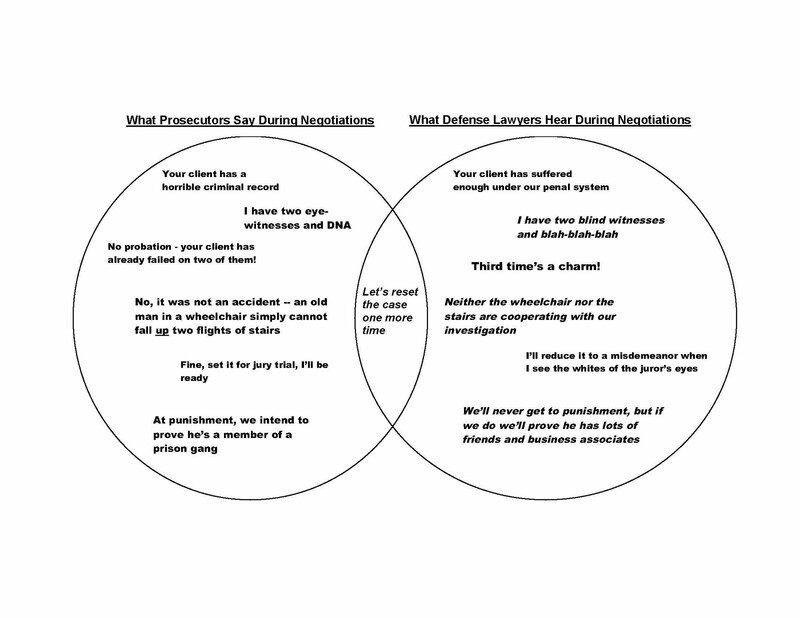 Continuing the wee series that explains how we work in Venn diagram form, today we have the negotiation process between defense counsel and prosecutors. Thanks again for another chuckle. I hope you don't mind but I was finally able to work out the technical kinks and was able to reproduce your earlier diagram on my site. I would also like to do the same with this diagram tomorrow. Any objection? I know I posted the other one without your permission but I can always take it down. They are very well-done -- amusing and true. 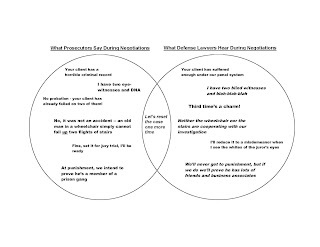 These Venn diagrams are priceless and spot on. Thanks for posting them!